Australian selection panel has dropped David Hussey from 13 man ODI squad that was announced today against the one day internationals against West Indies which will be played next week. The squad has been announced for first two ODIs so far. At his place, Aaron Finch has been included in the squad to strengthen the fragile batting order which was a concern in the ODIs against Sri Lanka and was exposed to spin and swing bowling. Although the five match ODI series was drawn 2-2, Australia were bowled out for 170 in Adelaide and a shocking 74 in Brisbane. David Hussey was the third highest runs scorer with an average of 32. Phillip Hughes’ has been able to win the confidence of selectors and as a result, earn his place in the squad due to his innings of 138 not out in Hobart. 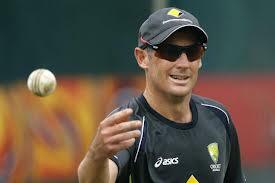 Others in top four batting line up include David Warner and injured Michael Clarke who is recovering from ankle sprain he had on 22 January and is expected to fully fit before the first ODI on 1st February. The future of David Hussey has not been decided yet as the selection panel will be monitoring his performance in domestic events. James Pattinson and all rounder Shane Watson are under the watchful eyes of the selectors as both were injured and their performances are to be monitored. James Pattinson is expected to go to Perth with the squad for practice sessions as his performance is to be seen due to the fact that he was out of game since 24 November due to injury. He has not balled a delivery since then. Shane Watson’s performance will be monitored when he plays for his Sydney club tomorrow and will be available for selection for New South Wales’ RYOBI One-Day Cup fixture against Western Australia on 30 January.